Good leaders build more leaders, right? But the weekly demands of Sunday make leadership development almost impossible. You probably have current or potential leaders, but you don’t have the time—or an intentional process—to develop them. It can sometimes feel like the only thing you're "growing" in your ministry is a stack of Sunday setlists. We use a three-part framework to help you develop as a high-level "leader of leaders" of your worship ministry. 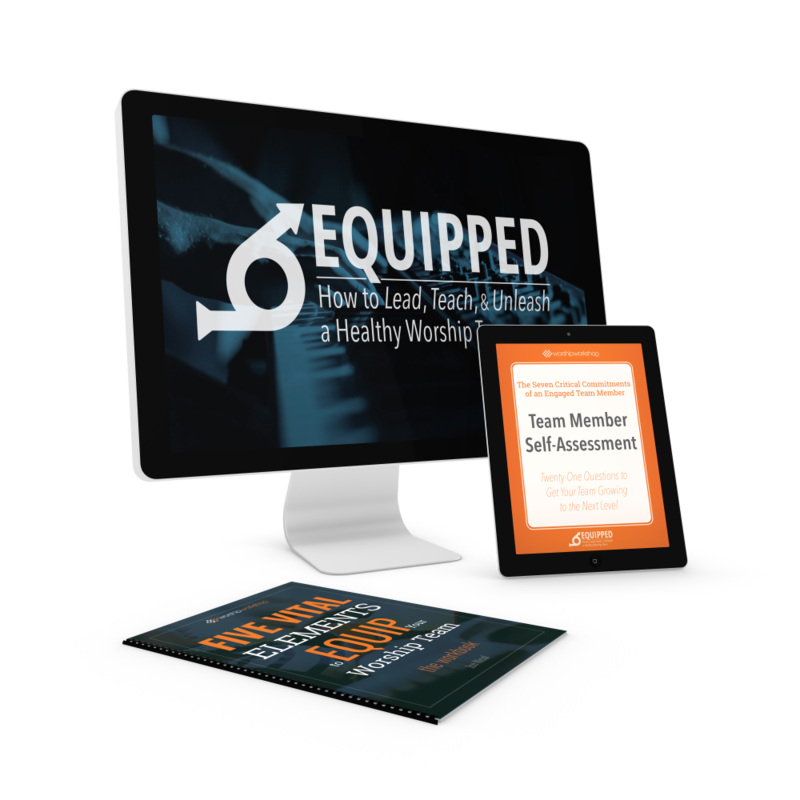 We also have ready-made resources for you to grow leaders, no matter what level they’re at. Choose the best option below to explore more solutions. Qualify potential team members who might make great worship leaders. Help them understand their crucial role of "lead" lead worshiper. Give them more responsibility as they grow, without jeopardizing the quality of your Sunday service. Determine what areas you need leaders to complement your strengths (and weaknesses). Recruit and qualify potential leaders. Develop a training process to raise up leaders. Create ways give leaders experience and responsibility, without giving them more than they can handle. Move a team of diverse personalities towards a healthy team culture. Build processes that gets ministry done so you can focus the main thing. Set vision and lead towards that with practical goal setting.